Looking to reach a certain audience? Successful companies use demand generation services and data-driven approaches to capture quality B2B marketing-qualified leads (MQLs) and sales-qualified leads (SQLs). DECK 7’s demand generation services include the spectrum from brand awareness and demand creation to lead generation of MQL and SQL ready leads to drive sales growth. 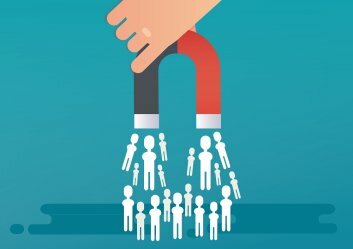 DECK 7 works with clients providing lead generation services across multiple industry verticals and markets using both inbound and outbound marketing methods to generate high quality leads in volume earning the reputation of being amongst the best lead generation companies in USA. Tell us about your lead generation requirements and our teams of lead generation specialists will help your business reach and convert your target audience. Connect with a dedicated DECK 7 lead generation specialist today to start generating leads for your sales teams. Email Marketing Services and Content Marketing Services. Social Media Marketing Services and Retargeting Services. Access to proprietary publishing sites. Pay-for-performance model covering CPL, CPA and other lead pricing models. Search Engine Optimization Services (SEO), Pay-Per-Click Services (PPC), and Conversion Rate Optimization Services (CRO). Speak with one of our demand generation specialists for a free evaluation and recommendations on how to get more high-quality leads for your business.